Aerospace Air Filtration System | Air Purification Inc. 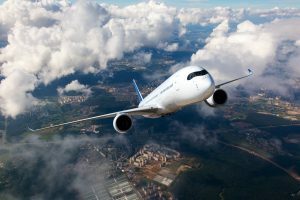 The aerospace industry consists of cutting-edge technology that connects us with others and allows us to move from place to place with ease. With applications in defense, business, and space exploration, the industry is as versatile as it is important. With the complexity of instruments that go into the manufacturing of aircraft and spacecraft, quality and efficiency cannot be overlooked. The production of different components used in the aerospace industry will often produce toxic chemicals and dust that must be monitored to remain at safe levels and reduce the risk of damage to both people and products. After 33 years of being in business, Air Purification Inc. understands the importance of having the highest quality air filtration systems to protect the health of your employees and company. With the safety of your employees as a top priority, we know that choosing the right air filtration system can be an intimidating decision. Our superior service and quick response have earned us the privilege of meeting the industrial air filtration needs of large and small businesses, research facilities, hospitals and manufacturing plants for more than 30 years, as well as well-known companies like Delta Airlines. Due to the risks associated with producing aerospace products, the Occupational Safety and Health Administration, or OSHA, has enacted specific safety standards to minimize the risk of any potentially dangerous accidents because of dust and fumes. Bag Filtration Systems: These collect dust particles and filter them out of the air. These can be used for processing involving welding, fiberglass, plastics and other areas that create dust particulates. Cartridge Filtration: Unlike the most permanent bag filtration systems, cartridge filtration is used to collect dust particulates that come off more immediately, such as from sanding and grinding. These collect the dust as it enters the air, rather than working on purification altogether. Our exceptional options for filtration systems can ensure safety on the production line for all aerospace application. We know how important it is to take care of not only your customers but your employees as well. Choosing the right air filtration system can be an intimidating challenge with so many options on the market. With a simple website layout and an exceptional customer service team, our site is the perfect aid in helping you find what you need, with the options like instant live chat and the option of customization. With our systems, you will save time and money, and guarantee the health of your employees and company.